The adventure for the new couch continues, how exciting! I'm sure you're all riveted. This comic not only advances the plot, but also makes it more apparent that the weird guy in the blue shirt that talks funny could possibly be a new character. What role will he play? Well, if you know what the term on his shirt stands for, you can probably figure it out. 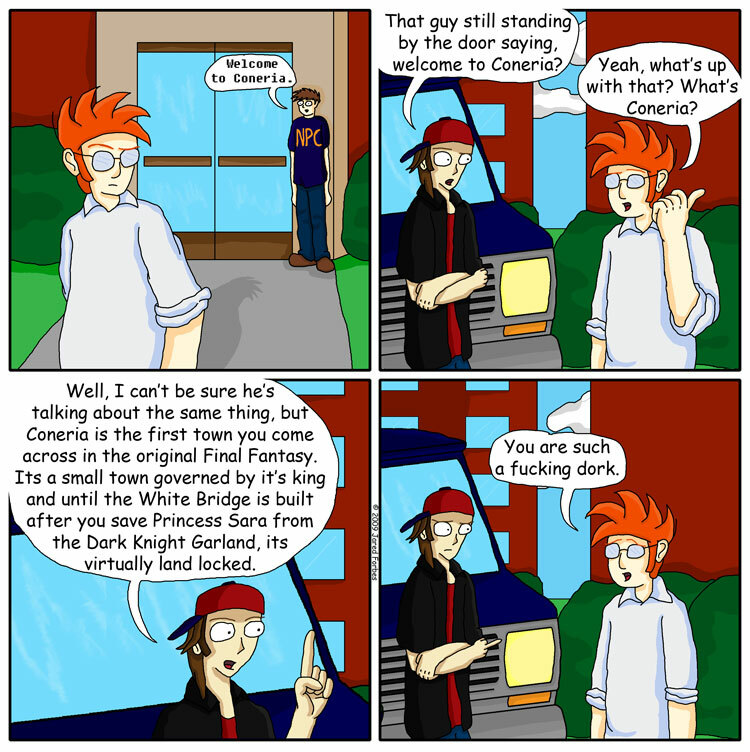 This comic also serves to be a small glimpse at how much of a video game nerd I truely am. I could have gone into much much more detail on the rant on the third panel.